"Our Lady of Charity in Brookhaven had Rev. Ignatius Bash as foundiing pastor. Earlier in his career he had been an assistant at Most Blessed Sacrament in West Philadelphia under Msgr. Daly." History The parish was established in November 1952 by the Archdiocese of Philadelphia. St. John Chrysostom in Nether Providence was also established at that time. 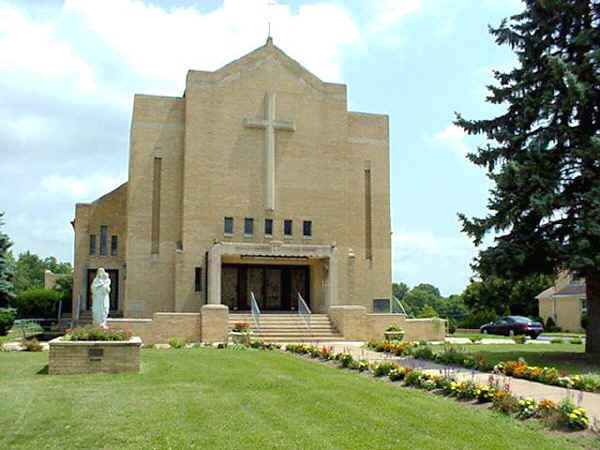 Our Lady of Charity Parish is celebrating its 50th Anniversary of the founding of the parish in 2002. There will be a special Jubilee Mass on Sunday, November 10th at 2 P.M. Bishop DeSimone will be the principal celebrant. This will be followed by a dinner dance at 4:00 P.M. at the Springfield Country Club.